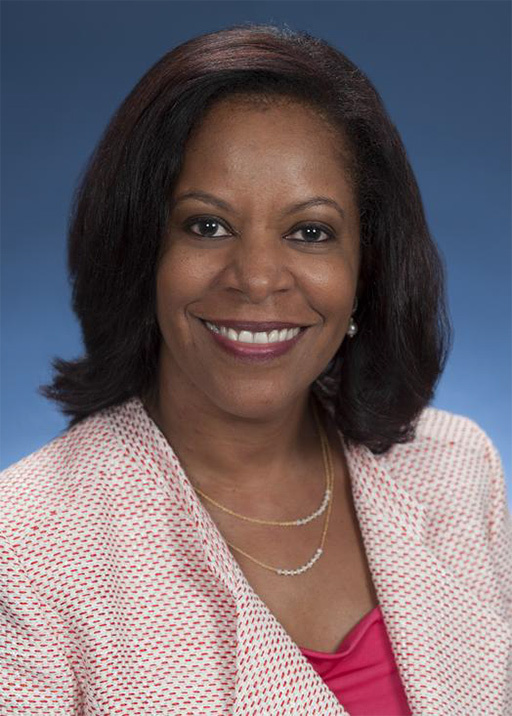 Sandra Phillips Rogers is group vice president, chief legal officer, and general counsel for Toyota Motor North America. In her role, she oversees Toyota Legal One (“TL1”), the legal services function for Toyota’s operations in North America. She is responsible for business operations support, litigation, intellectual property, regulatory law and legal operations, and for managing representation of Toyota’s affiliates in North America. Sandra is the first African-American woman named to this position. Previously, Sandra served as vice president and deputy general counsel for Toyota Motor Sales, U.S.A., Inc., where she played a key role in overseeing complex legal matters and building an integrated North American legal services group. Prior to joining Toyota in June 2012, Sandra was a partner at Morgan, Lewis & Bockius in their Houston office, where her practice focused on complex litigation management and strategy. She was also a senior vice president, associate general counsel, and chief litigation counsel at Pfizer Inc., and a managing partner of the Houston office of Shook, Hardy & Bacon. Sandra is a founding member of the University of Texas Center for Women in Law and a member of the Federation of Defense and Corporate Counsel, the International Association of Defense Counsel, and the Defense Research Institute (DRI). She is the 2008 recipient of the Defense Research Institute’s Diversity Pioneer Award. Sandra earned both a bachelor’s degree in journalism and a law degree from the University of Texas at Austin.